Our History – Temple Lodge, No.33, Duncan, B.C. Temple Lodge No. 33, A.F. & A.M., has a long, honourable and influential history in Duncan and the surrounding Cowichan Valley. Many members have been prominent in local business and there are several well known buildings in downtown Duncan built originally as the business premises of Temple Lodge. No.33 members. Other members have been active in local politics. It can be safely said that members of Temple Lodge, No. 33 were instrumental in getting the City of Duncan incorporated in 1912. Eight members of Temple Lodge (and a total of ten Freemasons) have served as Mayor of Duncan. Four of our members have served as Reeve (Mayor) of the District of North Cowichan. Other members have served on the City of Duncan municipal council and District of North Cowichan municipal and district councils. Four Temple Lodge, No.33 members have served in the Provincial Legislature. One of our members served as a Member of Parliament. Temple Lodge, No.33 members have served in law enforcement and in Canada’s military. Four of our members died in Canada’s military service during World War 1. To avoid any potential conflicts with current privacy legislation we are presently maintaining a fifty year time gap in the Historic Membership List information we put online. We will add the 1966 list in 2016, and so on. Please note that this is an on going project and we will add more information as time permits. 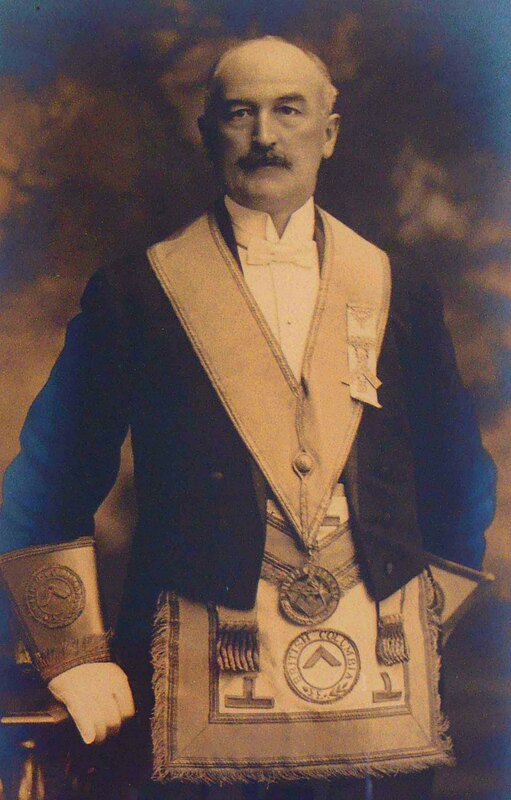 We have also added a complete list of Temple Lodge, No.33 Principal Officers from 1899 to the Present Day. Vancouver Island Cemeteries – Masonic Interments – please note that this link is to our previous webpage design. We will update this Vancouver Island Cemeteries page to our new web page layout as time permits. Deceased Brethren – only includes those names we have included on the new site so far. For more names of Deceased Brethren, please see our old web page on Deceased Brethren. We will keep the previous Deceased Brethren page online until we have fully updated the new site design. Vancouver Island Masonic History Project – an ongoing project by Temple Lodge, No. 33 to document the rich heritage left by Freemasons on Vancouver Island. Please note that the link is to our previous webpage design. We will update the Vancouver Island Masonic History pages to our new design over time. For those interested in additional research on Freemasonry and Masonic history, the Grand Lodge of B.C. & Yukon website has an excellent Introduction To Freemasonry as well as sections on Masonic History in B.C. and Masonic History in general. For those interested in further research on local history, we have included a list of recommended books by local authors. We also recommend the Cowichan Valley Museum, the Cowichan Valley Archives (located in Duncan City Hall) and the Cowichan Historical Society. Would you like to add a comment or question about anything on this page?